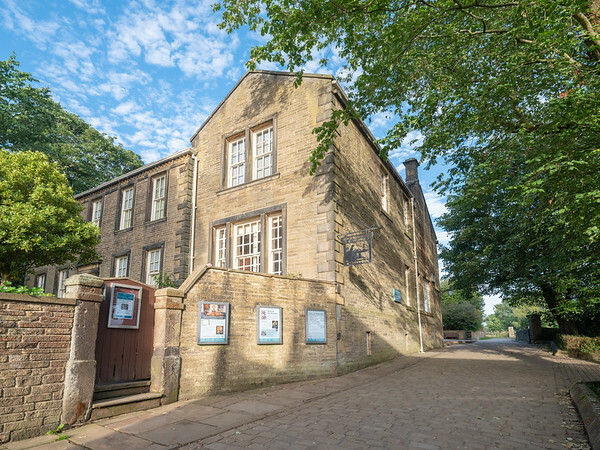 Photography from the historic West Yorkshire town of Haworth, home at one time to the Bronté family, and from the surrounding moors including the Bronté way and the Penine Way. Grateful thanks to local historian and author, Steven Wood for his advice on locations and titles. 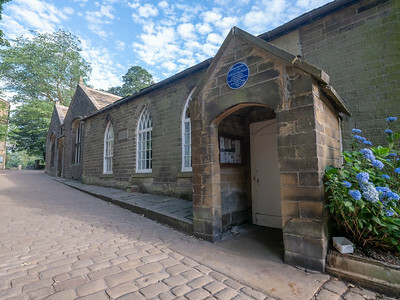 He is co-author of 'The Real Wuthering Heights' an essential read for anyone interested in the history of the area. 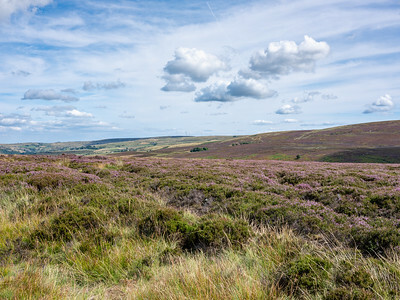 The heather on the moor is just coming into bloom. 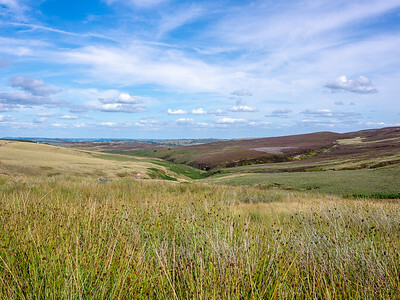 The small building in the distance is the gamekeepers cottage. 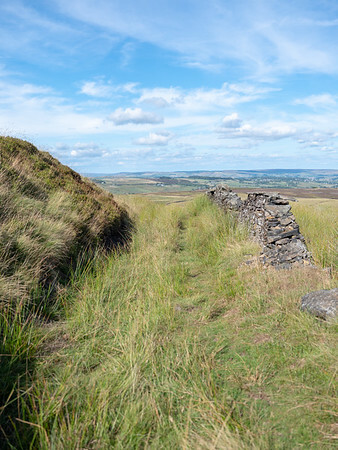 On the path of the Penine Way from Top Withens to Standbury a blocked gate appears in the dry stone wall. 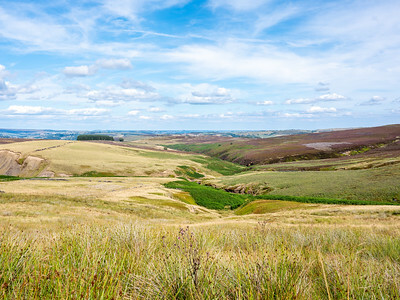 Stream erosion has created an area on the side of this hill where the top soil and moor has disappeared. 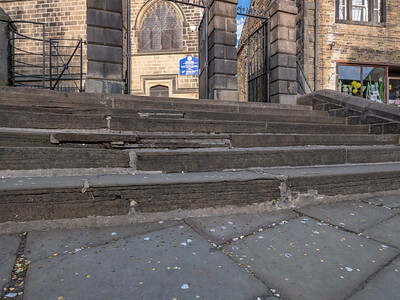 Revealed are the Millstone Grit which is a feature of the geology of the area. 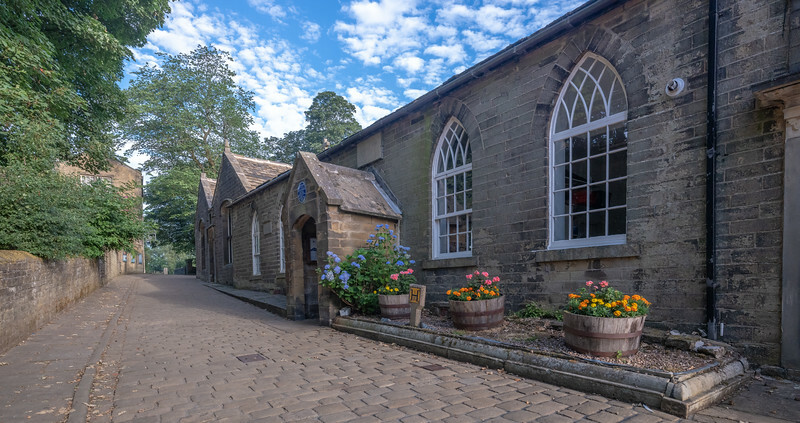 Millstone Grit takes its name from one principle use of this hard material used in the mill stones to grind corn. 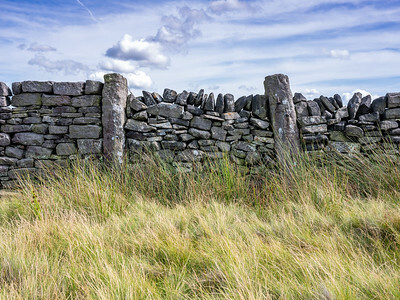 However, it is an almost ubiquitous building material being the main constituent of dry stone walls which criss-cross the moors. 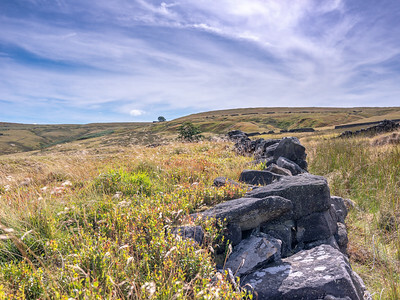 A dry stone wall lies in the direction of the path on Stanbury Moor which goes through Lower Withens (the near tree) and Top Withens (marked by the distant tree). 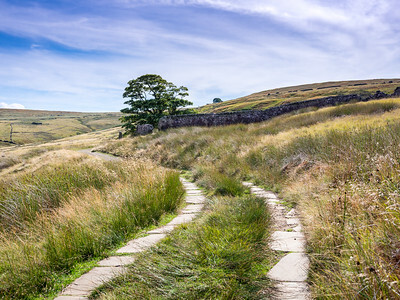 The path at this point is made of flagstones and passes through the gated wall of Heys Laithe before it climbs again to Top Withens - defined by the tree in the far distance. 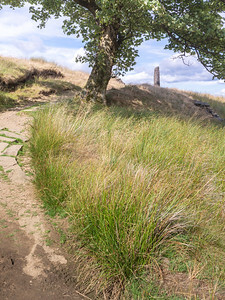 Looking back along the path towards a prominent gatepost. 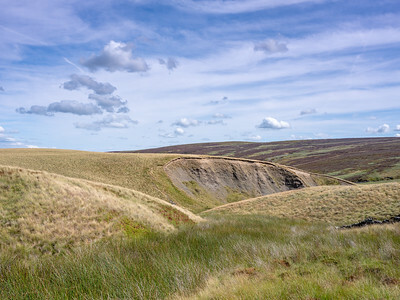 A view of the various interlocking streams that feed into South Dean Beck, which eventually becomes the Bronté falls, further down the valley. 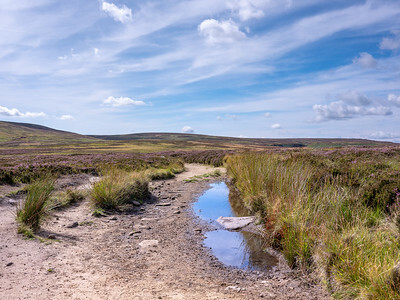 South Dean Beck and other streams have cut their way through the moorland as the level drops towards the valley floor. 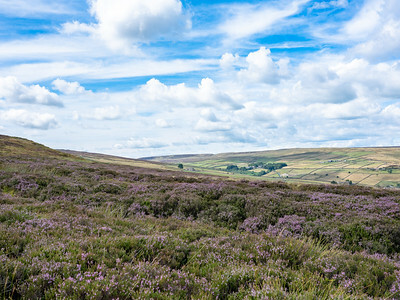 A view from Top Withens across the moor to Oxenhope Edge. 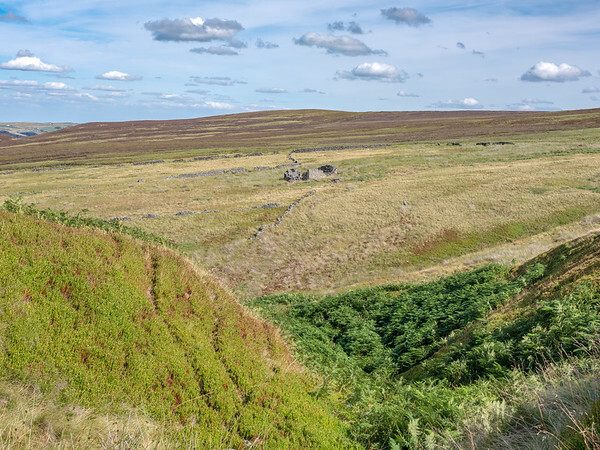 The remains of a barn may have contained a dairy as part of the farm at Top Withens. 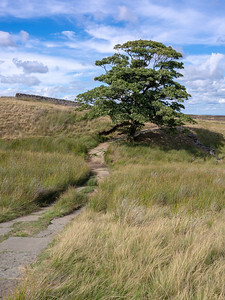 This spot is popular with tourists as Top Withens is said to be the location of the Earnshaw farm in Wuthering Heights by Emily Bronté - even though there is no direct reference in her writings to it. 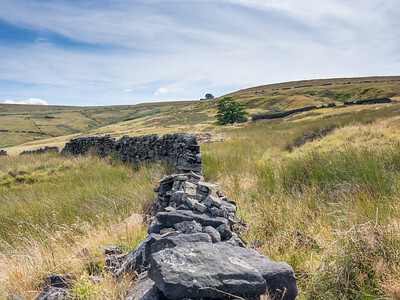 A barn that belonged to the dairy at Top Withens. 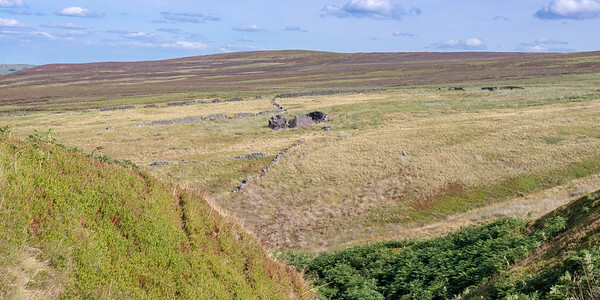 The outline of the cart track used by the dairy at Top Withens to take the milk churns down to the town below. 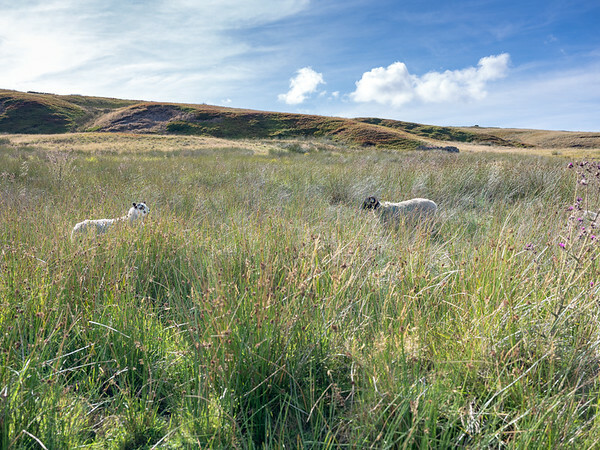 Benty Hole Scar, behind two sheep in the rushes that are part of the rich flora of the moors. 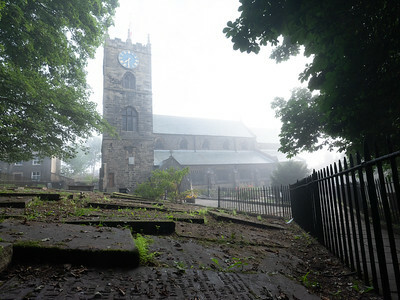 A beautiful mist rolls off the moor lower down the steeply sloping cobbled street of Haworth. 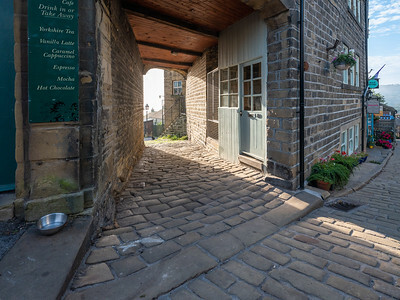 Reminder of the link with the Bronté's on the left and a watering hole, said to be the favourite of the wayward son, Branwell, to the right. 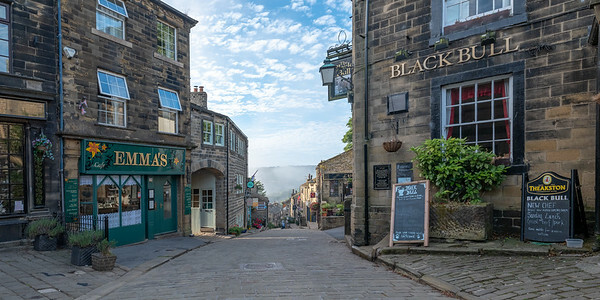 A black cat waits at the end of an archway through the distinctive stone buildings on Haworth high street. 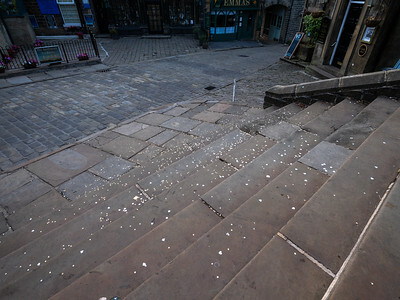 The cobbles are know locally as 'Setts' and have beautifully worn with age.